If there is a phrase that sums up the general feeling in the Plug-in scene in 2016, it's the one above, starting with the production-spec Chevrolet Bolt Detroit presentation in January, the Tesla Model 3 earthquake in March, 31st, and ending with several announcements of long range EV's throughout the year, the fact is that buyers had a taste of the Second Generation EV's, but all they could buy during 2016 were First Generation BEV's / PHEV's and a couple of 1.5G models (Chevrolet Volt II, Hyundai Ioniq Electric), which lead to a Osborne effect in many western markets, with buyers preferring to wait for the upcoming models, leading to a drop in sales of First Generation electric cars. Having won seven Monthly Best Seller Trophies (January, April, May, June, July, August, October), and with a 30.000 units lead over the Second Placed Tesla, the Best Selling Manufacturer trophy is more than deserved, but this was more due to regularity (Five consecutive months at 10.000-something) than outlandish results, with the two most impressive results of the year going to Tesla (13.394 units last September) and Zotye (12.318 in October). Using the Messi analogy, it was like despite the 45 goals, not once did the Argentinean player scored a poker during the whole season. The model diversification (Tang, e5, etc) occurred in 2015, didn't followed in 2016, with only the BYD Qin EV300 reinforcing the lineup, while the Song and Yuan Crossovers and the T3 Van remained in the sideline. Will they appear in 2017? They'd better do, as 2017 in the Chinese EV Market will be even more fierce, with foreign carmakers forced to join the local EV party and on a global level, there will be other OEM's (Tesla, BMW, BAIC) targeting 100k or more EV's for 2017. 2016 was Year Three for the Chinese EV market, with foreign makers still neglecting the Chinese EV market, where the local brands have 95% of this booming market to themselves, this allowed the Chinese EV makers global share to rise from 31% in 2015 to 43% in 2016, with China rapidly becoming the place to be, not only it is the largest EV market in the World, but also the fastest growing one, volume-wise. Even mentioning EV Share, China is making giant steps, their plug-in share is now at 1.4%, an important improvement over the 0.9% of 2015 and already above markets like the USA or Europe, both close to 1%. If BYD and BAIC are frequently mentioned here, others are also contributing for this unstoppable wave, like Zotye (#6 in the global manufacturers ranking), SAIC Roewe (#12), Zhidou (#13) or Chery (#15). An interesting trend is the steady climb of chinese cars in the global ranking, if in 2013 the best positioned chinese model was outside the Top 10 (#11 - Chery QQ3 EV), in the following year there were two (#7 - BYD Qin & #10 - Kandi EV) in the Top 10, 2015 witnessed three models in the Best Sellers ranking (#4 - BYD Qin; #6 - Kandi Panda EV; #8 - BYD Tang), while in 2016 there are four (#3 - BYD Tang; #7 - BYD Qin; #9 - BAIC E-Series EV; #10 - BAIC EU260) models, with the Tang becoming the first Chinese model to reach a Podium seat. Expect for 2017 to reinforce this trend, maybe with five Chinese models in the Top 10? Sometimes Tesla behavior reminds that of a certain Right Said Fred hit, with a near cult-like following from its fans and a Model 3 success that surpassed Elon's wildest dreams, it would be more than enough to keep every other OEM happy and they would just surf the wave and prepare for the Model 3 goldmine. Not Tesla. 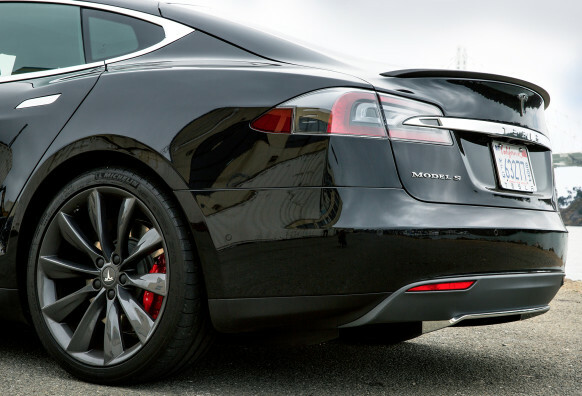 During 2016, they did a Model S facelift (Ok, they had to do something about that nose), improved their P90D/90D versions, replaced the 70 version for the 60/75 units, which together with the QA issues of the Model X, created unnecessary production constraints in Q1 & Q2. As the year progressed and the Q3 was turning out to be memorable, they thought: "This is becoming boring, we haven't presented anything awesome in the past couple of months, so what can we do? I know, the P90D is passé, let's do the P100D! And add the Second Gen. Autopilot!" With all this, the new Power packs and all the rest that's going on (Gigafactory, Model 3 tooling...), being COO of Tesla must be one of the toughest jobs on Earth. Then again, Tesla has to keep their cult followers happy, right? Following on the Volkswagen Dieselgate and Tesla's increasingly larger appetite for premium customers, German automakers joined the EV bandwagon with both feet, announcing big plans for the future, but the fact is that in 2016, only BMW made the necessary step-up. In the BMW i-line models, the i3 model finally received a decent battery, with 33kWh, pulling sales to record levels and making it the cornerstone of its plug-in strategy. German automakers global share remained stable at 19%, with BMW (8% Share) surpassing Volkswagen (5%) as the major Teutonic EV maker, with Mercedes in Third, with 2% share, Audi in Fourth (2%), followed by Porsche (1%) and Smart (0%), with BMW being the only brand to win share (+2%) regarding last year. 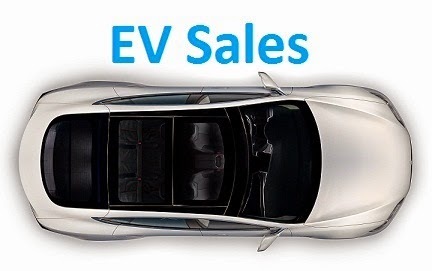 After a slow start, EV sales picked up pace, now expected to surpass the 750.000 units, after the 140k of 2012, low-200k in 2013, 320k in 2014, and 550k last year. While Norway continues to be the poster-child for EV Share (29% Share!) and China the King of Volume (Over 100.000 units more than in 2015! ), others are also making themselves noted, like Belgium (1.76% in '16 vs 0.78% in '15) or Austria (1.6% vs 0.6%), while several countries in the Scandinavian region, probably inspired by the Norwegian case-study, are growing at surprising rates and reaching high market shares, like Sweden (3.7%), Iceland (4.2%) on Finland (1.2%). Other markets finally had their Year One in 2016, like Luxembourg (0,61%), Lithuania (0,40% vs 0,04% last year) or Romania (0.14%). Despite the general positive trend, there were some slowing markets this year, with the largest being Japan, that for the second consecutive year is falling significantly, with its current market share (0.45%) far from the 2014 peak, when it was flirting (0.98%) with the 1% barrier. Other two markets dropping significantly regarding 2015 are the Netherlands (3.4% vs 9.3%) and Denmark (0.6% vs 2.3%), but in these cases the culprit is easy to identify, as fiscal changes made EV's less appealing to local buyers. Also of importance is the dissemination of plug-ins into countries not associated with EV's, like Malaysia (Some 106 units), UAE (283 sales), Sri Lanka (993 units!) or Ecuador (20 Twizzies). The global EV market had its second best month ever in November, with some 79.000 units delivered, representing a 39% growth YoY, if the same growth rate happens in December, a month from now we should be celebrating a 120.000 units record month, placing the 2016 final tally at some 780.000 units, 40% above 2015. In the models ranking, the big news were once again the Chinese models grabbing the November Top Spots, starting with the Zotye Cloud EV, Best Seller in November with 5.024 units, with the Silver Medal going to the Geely Emgrand EV, with 3.799 units, while the remaining podium seat going also to another Chinese model, the BAIC EU260, with 3.769 units, thus making a 100% Chinese Podium, the first time this happens, but i believe it won't be the last. Looking at the YTD ranking, the Tesla Model S has the Nissan Leaf within shooting range, so the last-month-of-the-quarter-peak should pull it to another Models title, like it did last year. The recent poor performances of the Mitsubishi Outlander PHEV has allowed the Chevrolet Volt to close in and with the help of the expected December peak in the US market, the GM model should end the year in the Fourth Spot. The BMW i3 33-kWh-kick continues to be felt, with the German Hot Hatch delivering a record 2.875 units, securing its Sixth Place, while the BAIC E-Series EV suffered from production constraints (The EU260 has priority over it #LargerProfits) and delivered only 735 units, its worst result in almost two years, dropping one position to #9, to the benefit of the Renault Zoe, which recovered its Eighth Position. In #10 we have a fresh face, with the BAIC EU260 replacing the Tesla Model X, but with the American Sports-Minivan-Crossover-Thing only 185 units away and the #12 BYD e6 some 400 units behind, a lot can still happen in December between the #8 to the #12 spots. The rise of the Chinese manufacturers has significantly changed the BEV/PHEV breakdown, at this moment BEV's have a 63% take rate, well above the 37% of PHEV's, we have to go back five years to see such a big difference, so China's Wild Card into EV's is not only increasing the number of plug-ins on the road but also helping BEV's to overcome the PHEV technology. Looking at November Best Selling manufacturers, three of the Top Four brands came from China (#1 Zotye, #2 BYD, #4 BAIC), with BMW being the only foreigner, in Third. Zotye had a Tesla-like surge last month, registering 12.318 units, the second best result ever (Only Tesla did better, last September, with over 13k units) by any brand, possibly probably due to dealership registrations, anticipating the upcoming incentive changes in China, allowing it to jump to the Sixth Place in the YTD ranking. As for BYD, with only 8.315 units, it had its worst result in seven months, which raises the question: Is this due to production constraints or are the new arrivals making a dent into the once all-mighty BYD? As for the Bavarian automaker, the benefits from a strong (And extensive) lineup allowed it to reach a new all-time high, with 7.571 units, distancing itself from Nissan and securing the Third Spot for 2016. With ambitious goals for 2017 (100k sales), expect the German carmaker to continue being one of the leading OEMs next year. With Chevrolet selling at decent levels and its newest baby, the Bolt, arriving in December, expect the American brand to have a deliveries peak next month (Do i hear 4.000 units? ), which should be enough to overcome Mitsubishi and reach #8. With Zotye jumping to #6, someone had to leave the Top 10, and that one was Ford, now #11, some 3.000 units behind Renault, so unless Ford Goes Tesla in December and surprises us all (Highly unlikely), the French brand has the #10 secured in 2016. To have a better idea of how fast Chinese brands are growing in the EV industry, in 2013 they had delivered some 12.000 units, which made them have 6% of the total EV market. In 2014, their numbers grew to 53.000 units and 17% of all plug-ins sold that year, a year after they had 180.000 units and 31% of the EV market, and now, November 2016, they have 286.000 units sold this year and 43% of all EV's registered in 2016. 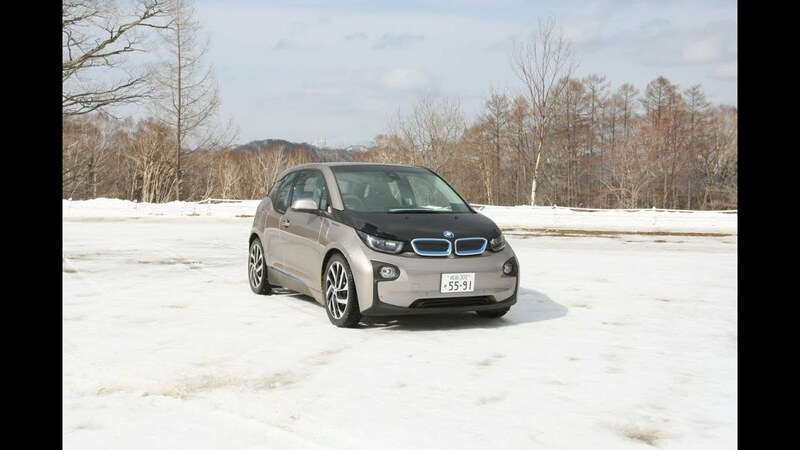 #1 BMW i3 – Thanks to the massive arrival of 33 kWh units to Norway (1.014 units registered), the BMW i3 earned its third Best Seller title in four months, this time with 2.092 units, up 51% YoY. Besides Norway, other markets where the Bimmer excelled was Germany (291 deliveries), France (117) and Austria (97 deliveries, 1 Rex). #2 Mitsubishi Outlander PHEV – This time the Japanese SUV managed to outsell the Renault Zoe, reaching the Second Place last month, with 1.512 units, up 7% regarding October, but Mitsubishi saw the plug-in SUV sales drop 48% YoY, as sales at the end of last year were heavily inflated by incentives changes in the Netherlands and Sweden. 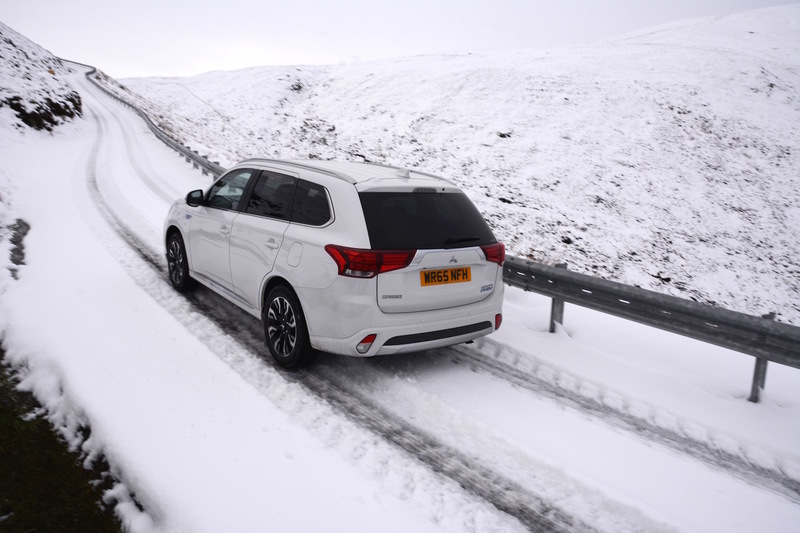 Despite the loss on the Dutch market, the Outlander still managed to sell in the three digits area in four countries (Norway, Sweden, Germany and United Kingdom). 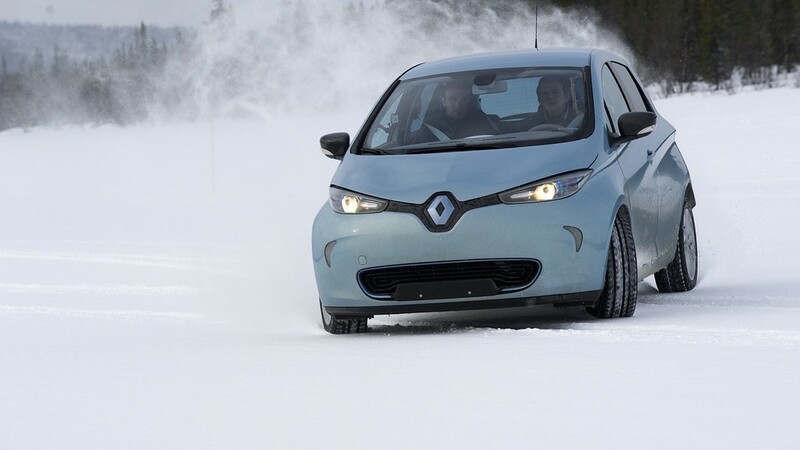 #3 Renault Zoe – Registrations were down 30% YoY to 1.438 units, with the mass delivery of the 40 kWh delayed and with buyers waiting for the extended range version, the model in a sort of no-mans-land. With a Tesla-like stunt in December unlikely, the 3.000 units delivered in December ’15 seem pretty far. Last month, good performances in Germany (303 registrations), Denmark (137) and Norway (100) weren’t enough to compensate the slip in its home market (547 units). #4 VW Passat GTE – Volkswagen midsize offering continues to collect good results, besides the usual Sweden (295 units) and Norway (173), big time Passat GTE lovers, Volkswagen’s model had a great result in the Netherlands, with 363 units, its best result there this year, allowing it to reach the Fourth Position in Europe, with 1.067 units. With the right mix of electric range, space, power and price, the Passat GTE is a success among company fleets across Europe. After running ahead for good part of the year and poised to finally win a Best Seller title, the deliveries delay of the 40 kWh units is dragging down the Renault Zoe performance, which dropped to Second Place, 89 units behind the Mitsubishi Outlander PHEV, that despite seeing its sales drop 24% YoY, still managed enough momentum to surpass the French Hatchback and now is the favorite to win the 2016 title, which will be its Third in a row. This feels like those football matches where one of the teams (Renault) starts as favorite but ends up losing with an own goal in the 85th minute…Now all the other team (Mitsubishi) has to do is to wait a few more minutes and then raise the trophy. Looking below the podium, the #7 VW Passat GTE is closing in on its smaller brother, the Golf GTE, and December might bring a position change between these two. Keeping on the sibling position changes, the BMW 225xe Active Tourer (828 units, new personal record) surpassed the X5 40e relative and reached #13. November brought a couple of surprising performances, from the 373 units of the oldtimer Citroen C-Zero (Best result in four years), thanks to a fleet deal in Spain, to the 494 units of the Hyundai Ioniq Electric, a new model that has been receiving a warm welcome in several markets, something that Mercedes is also enjoying with its two new babies, the GLC350e (372 units, up to #27) and E350e (227). In the manufacturers ranking, BMW cemented its leadership (17%, up 1%) over Volkswagen (15%), with Renault in Third, with 13% share, followed by Nissan (11%) and Mitsubishi (10%). Article also published on EV Obsession and CleanTechnica.